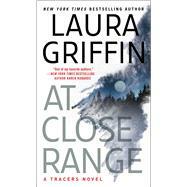 As a ballistics expert and former Navy SEAL, Scott Black knows firearms, and he knows he can help Dani unravel her case. Scott has managed to hide his interest in his best friend’s younger sister for years, but when her investigation brings them together, the sparks between them quickly burn out of control. Scott resolves to keep his hands off Dani and his eyes on the goal—identifying a killer. But when that killer zeroes in on her, all bets are off. There isn’t a line Scott won’t cross to convince Dani to trust him so that he can help her take down a ruthless murderer who has her in his sights.